Located on the North Shore of Sydney, Xara Skin Care Clinic has been providing the best skin services tailored to suit your specific skin type and skin problems. 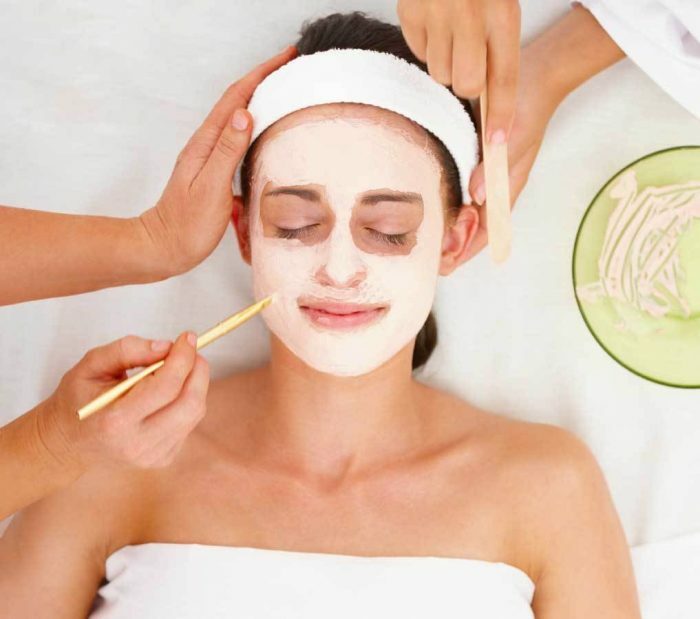 We are the facial experts who specialise in treating oily skin! Oily skin is not only a problem for hormonal teens, but it can affect mature aged adults too and anyone in between. Oily skin is normally characterised by the excess production of sebum or oil which makes the skin look shiny and greasy. It can lead to regular breakouts, larger pores, blackheads and worse, severe acne. Fuller’s Earth Facial Clay in Sydney is the perfect choice for those who suffer from acne problems, blemishes, spotting, and of course oily skin. The clay is specially formulated to draw out excess oil and impurities including blackheads, pimples and blemishes from the skin. All this with the added benefit of lightening the outer epidermal layer, making a perfect facial treatment. This lightweight serum provides a perfect solution for reducing and reversing age spots, hyperpigmentation, ageing skin, sun damage, acne and acne scars, free-radicals. And most importantly for maintaining combination to dry skin. It’s simple and easy to use! All you have to do is wash and pat your skin dry. Then apply a small amount to entire face, neck and decollate. Use it daily. However, users should note that if you use toner as part of your daily routine, the serum should go on after. Made from purely organic vegan contents, sufferers of oily skin will find this serum refreshing and protective of the skin. Better than Botox, our serum is full of Vitamin C. (a key ingredient which has been recommended by internationally renowned doctors to be the best anti-ageing remedy.) Combined with Vitamin E, this serum is super-powerful in its anti-ageing and anti-oxidising benefits. This does a lot for the health and appearance of your skin! This serum helps to balance dry as well as oily patches and can rejuvenate the skin from looking dull and lifeless. It is also great for reducing wrinkles and fine lines quickly and helps new skin cells grow for younger-looking skin. The serum contains Grape Seed Extract which not only provides anti-inflammatory antioxidants to slow the ageing process but also moisturises and tightens the skin making it firmer and smoother and with a more youthful appearance. The serum also contains argan oil which is rich in vitamins and minerals that is also great for healing, hydrating and making the skin softer without it feeling irritated. This is great for those with oily prone skin as it doesn’t leave a greasy residue on the face and instead acts to balance out the skin’s pH levels. This serum combines all the benefits of anti-ageing whilst catering to those withal kinds of skin types including oiler skin. It stimulates elastin and production to reduce the appearance of fine lines and wrinkles. This also plumps the skin from underneath and works to refresh and balance the skin. Those prone to oily skin can also be glad to din that the serum is not oily or greasy and will not clog pores. MSM and DMEA serum is an excellent choice for oilier skin as it reduces stressed and oversized pores. All whilst firming up the skin and creating a youthful glow. Your skin will look younger and fresher within a matter a few short weeks! This Dead Sea mud mask help prevents the common symptoms of oily skin such as regular breakouts, larger pores and blackheads. It removes toxins and impurities from the skin. The Dead Sea mud furthermore tightens and tones the skin and helps improve blood circulation. Full of natural extracts from green tea and papaya, it also allows for an enhanced natural glow. One of its key ingredients, the orange sweet essential oil acts as an antiseptic. This allows the skin to show better clarity. This regenerates and refreshes your skin. To use simply apply the must to face and neck evenly. Make sure to avoid the eye area and leave on for 5 to 1o minutes until it completely dries. Once dry, rinse thoroughly and follow up with a toner or moisturiser. Enriched with Certified Essential Oils this precious spa product is excellent for stabilising oily skin. This also removes unwanted dead skin cells through expert-designed skin exfoliation properties. It uses some of the best and rarest combination of ingredients which have come from the rain-forest of Brazil, jungles of India, lush forests of Thailand and the vast mountains of China. To use, wet face and gently massage in a circular motion. Rinse with lukewarm water and pat dry. To achieve, the best results use a toning mist and cream afterwards. Wiki what is oily skin? Xara Skin Care Clinic are the skin specialists, with our exclusive and unique range of beauty treatments. Not only do we deliver an impeccable service, but our excellent range of facials caters to all skin types and skin problems. If you’re looking for a skin care service that is highly professional and offers the finest anti-ageing facial treatments for oily skin, contact Xara Skin Clinic today. You are welcome to visit us at our store.